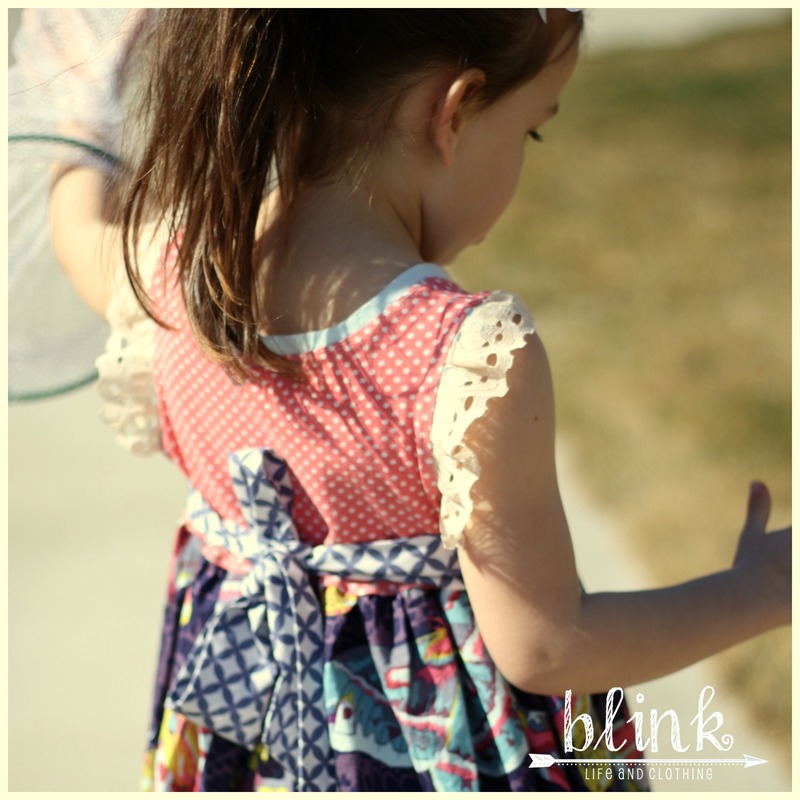 If you’ve seen my last few pictures posted on the Blink Facebook page, you know I’ve started to sell little girl’s clothing. I’ve had so much fun sewing for my daughter and I need to support my habit craft. One of my recent dresses (which we have started calling our Butterfly dress) is seriously my favorite dress. I love it. 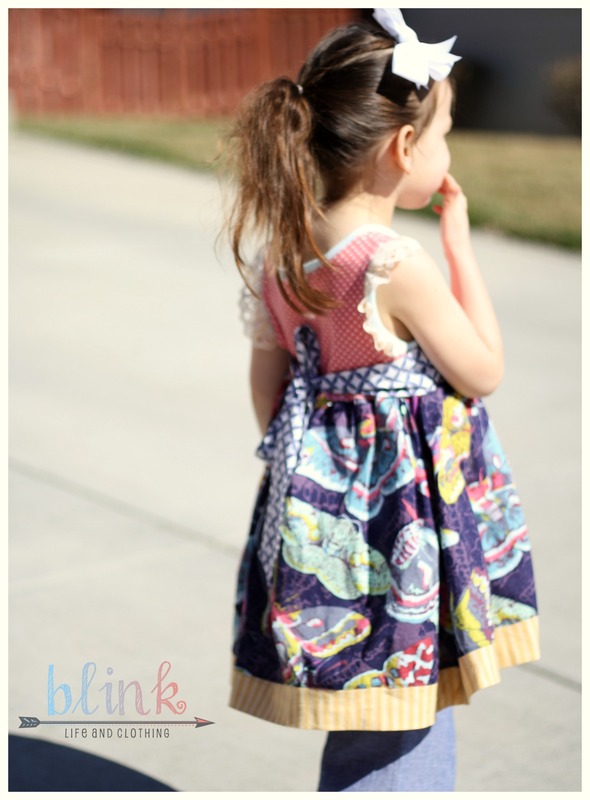 I love each of the fabrics, I love the way it looks on Little E…Love. It. It was a mash up of two different patterns and in theory, it works. It’s not for sale. I just can’t sell something know another mama might be bugged by those things. I’m not by any means saying I’m a perfect seamstress (’cause sewer sound yucky) but I want my clothing to be as close to perfect as possible. 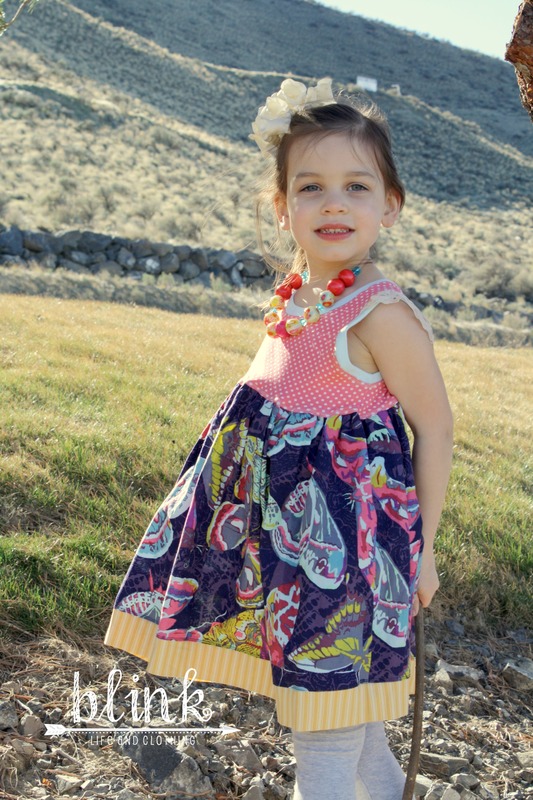 I know how to fix the dress so this style WILL be available if you need one for your little miss. 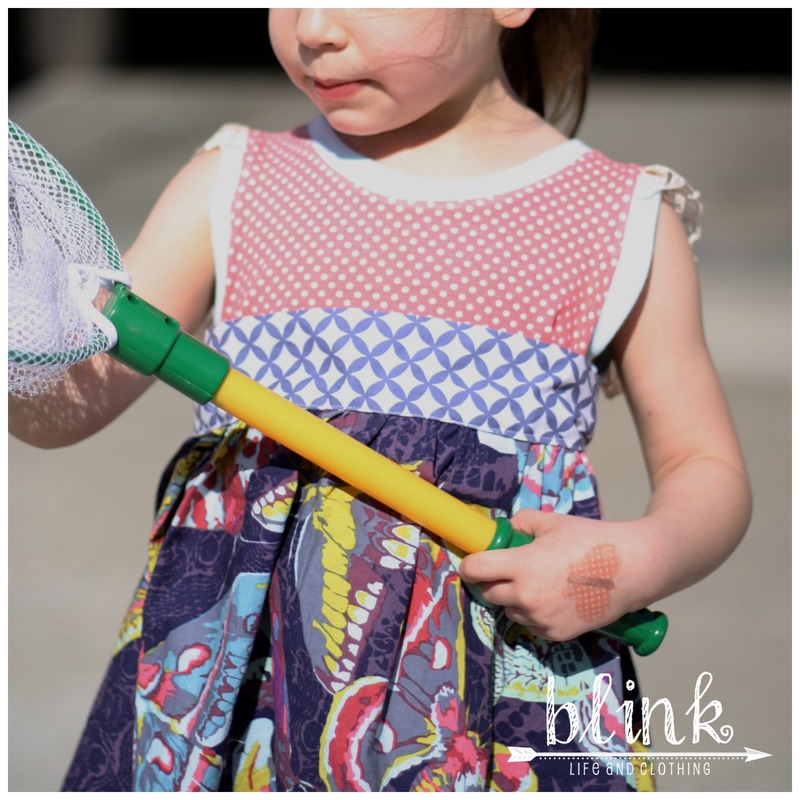 We’ve worn it to the park to play, to church and OF COURSE, outside to catch butterflies. ‘Cause that’s what one does in a Butterfly Dress!